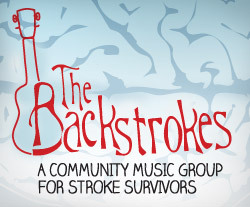 If you’re a stroke survivor, you and your spouse, partner or caregiver are invited to join us for an hour of playing instruments and singing. Join our music teacher co-facilitators for an hour of fun and music. The mission of The Dougy Center is to provide support in a safe place where children, teens, young adults and their families grieving a death can share their experiences. GRIEF WATCH is a publisher and manufacturer of bereavement books and materials used by families and professionals around the country. The Grief Watch mission is twofold: first, to offer spiritual, emotional and other support to persons who are grieving, and second, to assist organized efforts which address the systemic injustices within our society which are the source of grief for persons who are poor and marginalized. The Mission of the Compassionate Friends is to assist families in the positive resolution of grief following the death of a child and to provide information to help others be supportive.